Whether you need replacement, bred,or show heifers, Beaty Farms offers the niche that you need filled with quality you can trust. 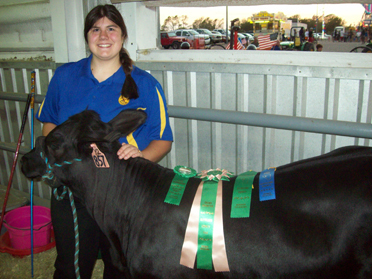 Our first Registered Brangus cattle were purchased in 1991. Since then our goal has been to improve the genetics of the herd by introducing top quality bulls, by purchasing additional quality females, and by developing our own replacement cattle. In 2008, we began a new branch of Beaty Farms: “Beaty Farms All Natural Beef” which is processed, frozen and packaged under our own private label.These steers have never had hormones, never had antibiotics, and have never been fed any animal by-products. Beaty Farms is certified under the Texas Beef Quality Producer Program. To continue reading about Beaty Farms, please click here. 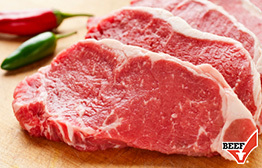 Beaty Farms offers locally grown, hormone-free, delicious beef in a multitude of cuts and styles. Find out where to purchase today! Beaty Farms creates quality cattle for our customers by focusing on appearance as well as performance through cutting edge technologies. An important decision a rancher will face is choosing a Herd Sire. Beaty Farms wants to help by helping supply a quality sire for your next high quality herd.